Paul Di Giacomo for Colin Nish (88)	 None. Killie had the best of the early action, with both Nish and Naismith wasting good scoring chances inside the opening ten minutes. Naismith was again presented with a great opportunity to break the deadlock in the 18th minute but blazed over from 14 yards after Stillie had fumbled an Invincible cross under a heavy challenge from Nish. The best United had shown in the opening half hour was to earn a few corner kicks, one of which came after a great run from Mark Wilson down the right flank, but these were all defended comfortably by the Killie defence. The Terrors sprang into life in the 33rd minute, however, and almost snatched the lead on the counter attack. Mark Kerr linked with Collin Samuel, who back heeled for Wilson to cross. Although the low centre was missed by Robson, the loose ball ran only a foot wide of the far post with Combe beaten. Just when United had started to show some promise in an attacking sense though, they fell behind to the opening goal in the 37th minute. Following a passing move down the right side, Killie took the lead with a rather fortuitous goal when Gary McDonald’s attempted cross sliced off his foot and found the net at the back post. The second half started almost as badly for the visitors as the first half had ended, with David McCracken required to stop first Simon Ford and then Colin Nish from clear chances to score inside the opening four minutes of the second half. However, the game was levelled up in the 51st minute courtesy of a Collin Samuel equaliser. Robson’s outswinging corner found the head of McCracken, whose header was parried on the line by Combe before the Trinidad & Tobago international nipped in to score from close range. The pattern of play became very scrappy in the most part, with both sides struggling to retain possession long enough to construct any meaningful attacking moves, and the referee’s whistle and linesman’s flag breaking up play even further. However, as the game entered the final stages, it was the Tangerines who looked more likely to force a winner, Miller (twice), Wilson and Kerr all denied by former United keeper Combe inside the final ten minutes as a draw looked the eventual outcome. 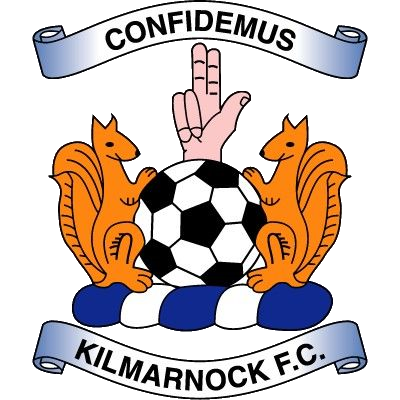 Killie had other ideas though, and in the final minute of the match, a lofted ball into the area was nodded down for substitute Gary Wales to fire home. 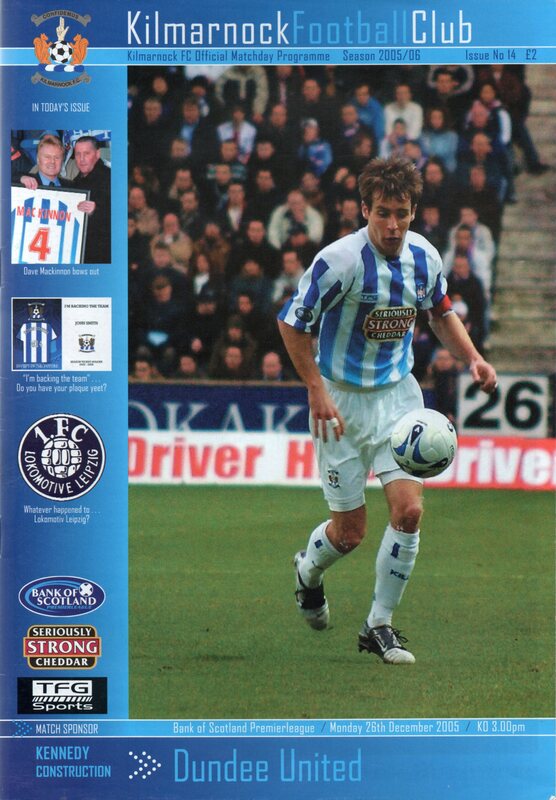 There were two bookings, Alan Archibald for a foul on Danny Invincible, and Derek Stillie for reacting angrily to the award of a corner kick to Killie and throwing the ball towards the linesman.